Of Navajo-Ute heritage, R. Carlos Nakai is the world's premier Native American flutist. Having been described as '...so soothing it unwrinkles the soul...,' Nakai's ethereal music has touched people across the globe. With over a million copies sold, Canyon Trilogy received the first platinum certification for Native American music. 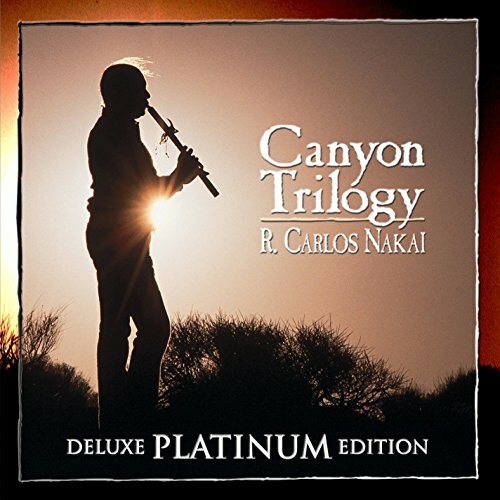 The Deluxe Platinum Edition contains the original Canyon Trilogy album, fully remastered plus 5 never-before-heard Nakai songs for solo cedar flute that expand upon the legacy of this timeless classic.